on premises, or in the cloud. to share their application templates. ComodIT provides a simple, integrated, and agile solution to deploy and manage your IT infrastructure on premises or in the cloud. Simple register, try it now for free, and manage up to 5 hosts. 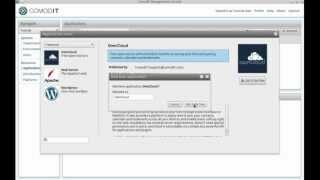 Prepare your infrastructure blueprint using the web client and let ComodIT provision within minutes accross virtual and cloud platforms. 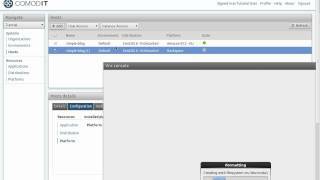 Re-deploy in one click for disaster recovery. Migrate from a cloud to another, or duplicate your infrastructure for testing. 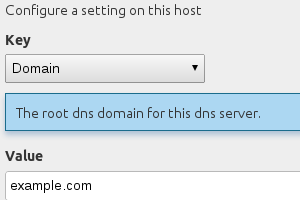 Manage your hosts configuration from the web and let ComodIT apply the required changes for you. Maintain a complete documentation of your infrastructure and stay on top of your compliance. 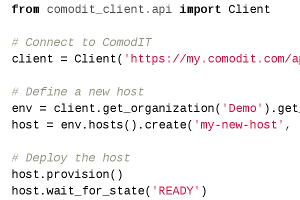 Leverage the Open REST API to integrate ComodIT with your own processes, orchestrating scenarios such as Auto-Scaling or Integration Testing. One API to manage infrastrucutre up to configuration files within the VM. Provision servers accross public and private cloud through a single interface. Also support deployment directly on hypervisors and physical servers. 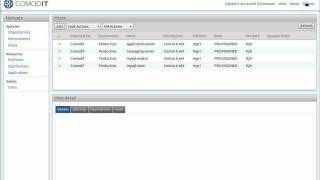 Manage server and applications configurations throughout their lifecycle. Maintain up-to-date documentation of your complete infrastructure. Orchestrate complex scenarios using our open API and libraries. 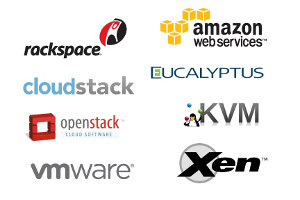 Effortlessly deploy, autoscale, migrate and re-deploy your infrastructure. 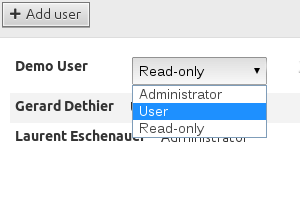 Manage user permissions accross your infrastructure. Audit changes in configuration, keeping track of the complete change history.
" At CETIC, we support companies with the integration of the latest ICT technologies. The management of IT becomes a high concern for them, and it is important to ensure high quality, consistency and reproducibility of the applications they deploy. In that matter, the innovation brought by ComodIT is changing significantly the way to do configuration management automation ! " 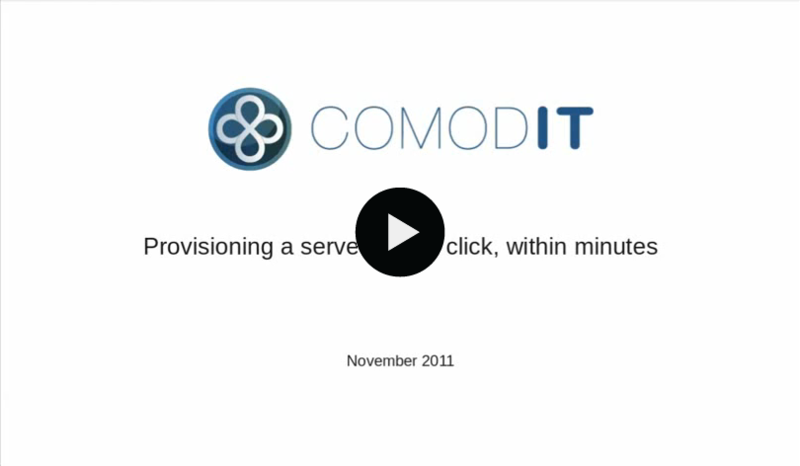 ComodIT provides a simple, integrated, and agile solution to deploy and manage your IT infrastructure on premises or in the cloud.